Easy for both the novice and advanced user. 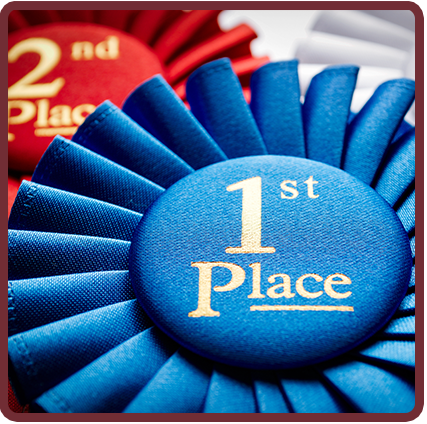 Volunteers and temporary staff often make up the key personell who process your entries. 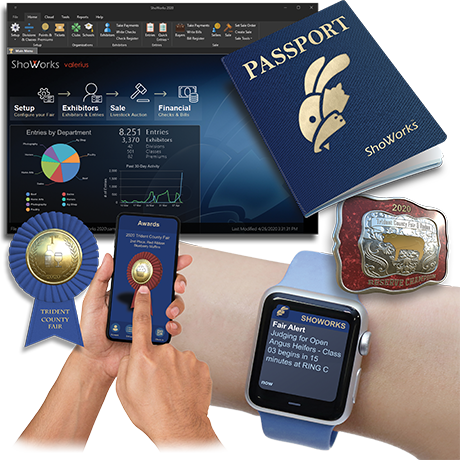 ShoWorks takes this to heart and is aimed at the core function of the Fair Office: to process entries quick and easy, even when used by a non-computer savy person without extensive training. Pays for itself on the first use, period. Starting at $1,195, each Edition of ShoWorks comes fully loaded with hundreds of time and cost-saving features to let you focus on what you do best. Running the show! "Our first experience with ShoWorks was great. We will happily recommend it to anyone, especially those entrenched with WinFair (Blue Ribbon-Martech). We should have switched a LONG time ago. Online Entry is AWESOME! So many people have been telling us how great it is. Thank you for saving me HOURS of work." "Awesome. We were so frustrated with the Blue Ribbon (by Martech) and finally made the plunge to switch to ShoWorks. What a difference it has made. Much easier, faster, and way more flexible." 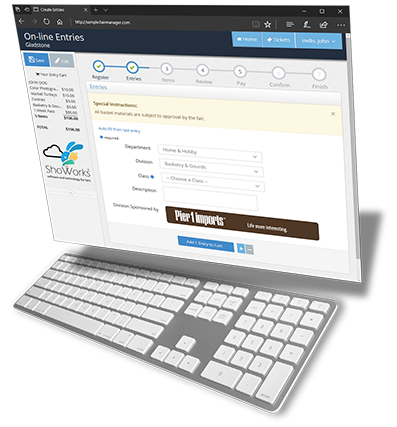 "The ShoWorks upgrade is FANTASTIC and super easy to work. I like the new layout and that I can have multiple screens open at the same time. I'm happy that the software is so easy to use that it only takes one person to handle the workload without staying up all night." "Having someone who makes tech support so available makes my job much easier! I've been through Fairs where we had to wait over 24 hours for the computer company to call us back. It just doesn't work! You do such a good job of taking care of us and I really do appreciate your help – especially this time of year. " "We had online registration for the second year this year. We had many positive comments. People like having the ability to register their exhibits at home and just drop them off on entry day. 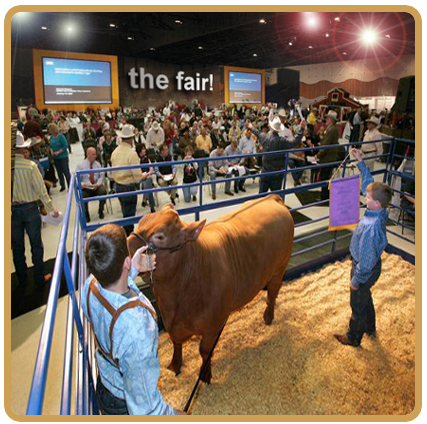 They have also entered exhibits in other areas because they see what's available when they are registering their exhibits." "I just wish I'd taken the plunge earlier! The Quick Entries feature is huge, mainly because I can save different layouts. It's really going to streamline how we'll do things. Great job on the updates. Lots of little things that are really cool."